Brightly dressed heroes hope to give headspace in Emerald the green light! The communities of the Central Highlands have come together to campaign for a headspace centre in Emerald. A headspace centre would offer young people, who often fall through the cracks, vital mental health and wellbeing services. To raise awareness and green (money) for this goal, community groups and individuals are hosting Green Events. 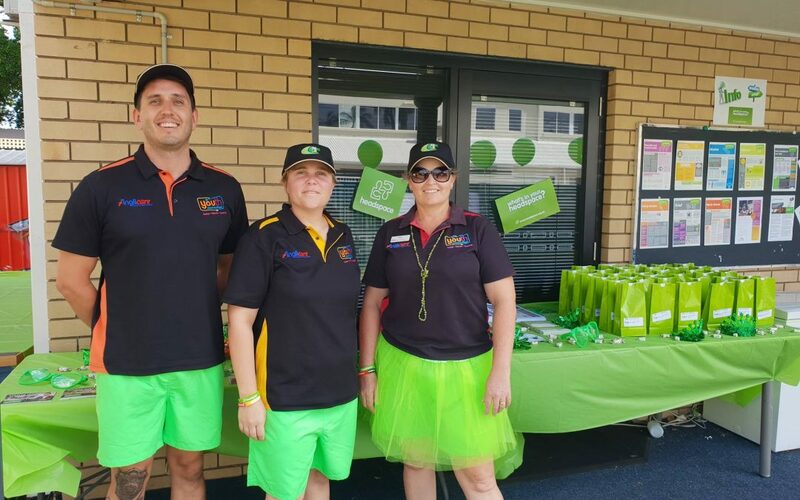 These events encompass anything to help promote, advocate or support the federal application for a headspace in Emerald servicing the Central Highlands. From a morning tea to a concert, all levels of support are greatly appreciated. Events so far include a bake stall run by a local teen. The next big event is a colour run on Saturday April 6th. Flyers for upcoming events will be posted on the Central Highlands goes GREEN facebook page. This initiative was started by the Central Highlands Suicide Prevention Group, as part of a plan to reduce suicides in the area. This group is part of a wider project for Suicide Prevention in Central Queensland. The sitting Federal MP, Ken O’Dowd, and Labor candidate Zac Beers have both shown their support for the proposed centre. For more information or to get involved click here, or contact Fiona Hardgrave at fiona.hardgrave@cqrdgp.com.au.